Ibiza is known as the clubbing capital of the world and has been since the 70’s, made famous by the big named acts that hit this small island every summer bringing the best clubbing experience that can be found. 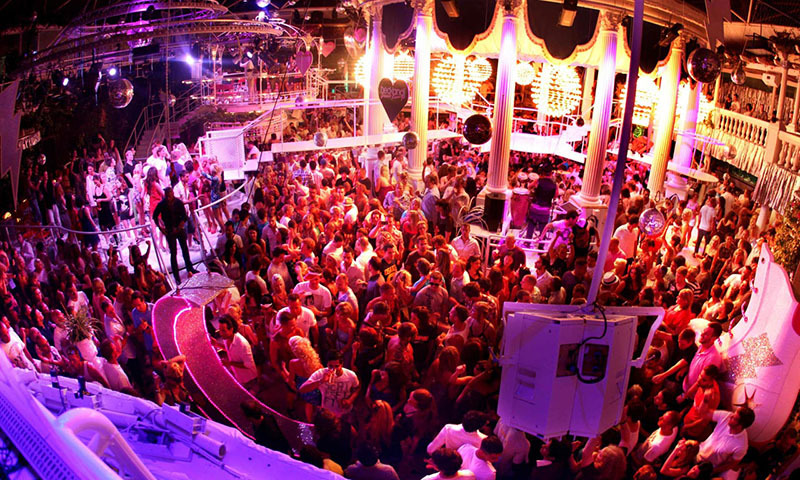 Ibiza has the most renowned clubs on the dance scene such as Pacha, Amnesia and space. Whether your an Ibiza virgin or a regular goer keep up to date with our Ibiza club guide. has long been the backdrop for some unforgettable clubbing moments, with two massive rooms - one a dark cave and the other a wide arena that is flooded with light when the sun rises. Popular Parties: Cocoon, Cream, Music On, Together. 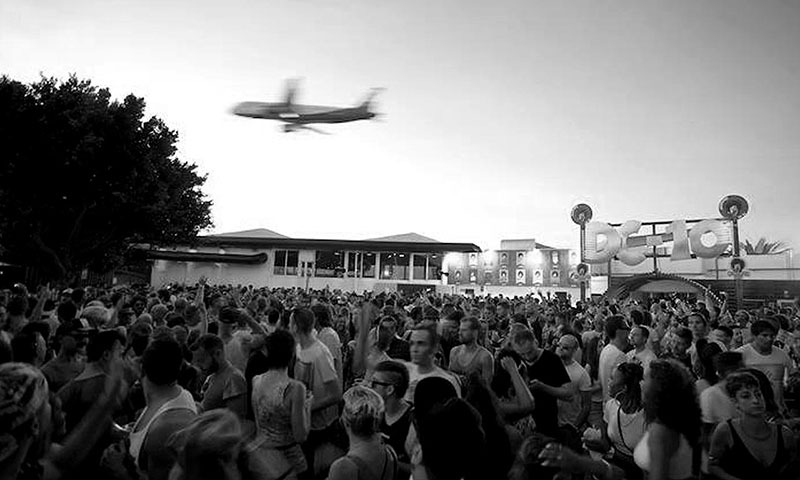 Now famous for being Ibiza's underground club, DC-10 has reached its elevated position thanks to offering a unique experience in Ibiza's clubbing environment. In contrast to the rest of the clubs, it still does little or no publicity for its parties, meaning those who go are in the know and there for one reason: the music. DC-10's longevity and success is ultimately thanks to a devotion to providing solid, quality underground electronic music. Prices:DC-10 is cheap (relatively speaking). Expect to pay no more than €30 for Circoloco. Entry on other days costs about €20 or less. A beer or water will cost you €5-7 and a mixer no more than €10. Quite possibly the most beautiful club on the island and as the name suggests, it certainly has a paradise feel to it. A labyrinth of secret gardens that oozes glam, Es Paradis has been around since the mid '70s and is one of the original charms of Ibiza's nightlife. Popular Parties: Fiesta Del Agua, Glow Neon Paint Party. Prices: Expect to pay around 20 - 40€. A beer should cost around 7€, vodka limon 10€. Reduced price flyers and occasional free entry tickets are available from bars around San Antonio. 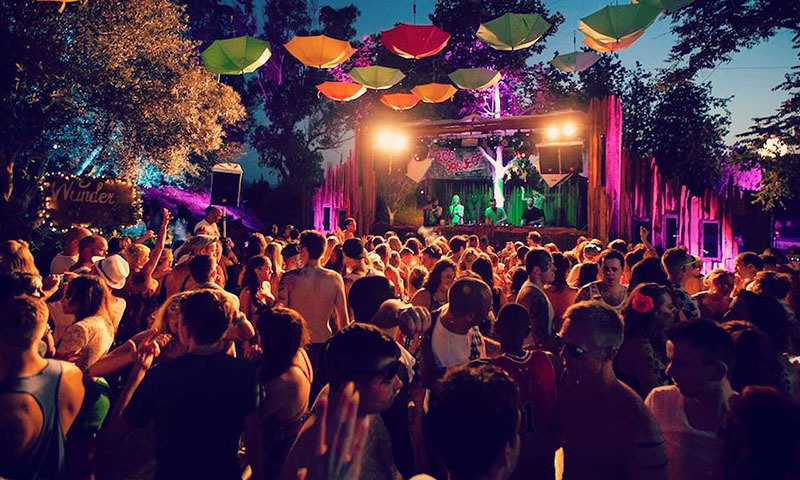 Home to the world famous Zoo Project parties, Benimussa Park is one of the most unique venues on the island. If outdoor partying, fancy dress and quality electronic music is your bag, then you'll enjoy this. 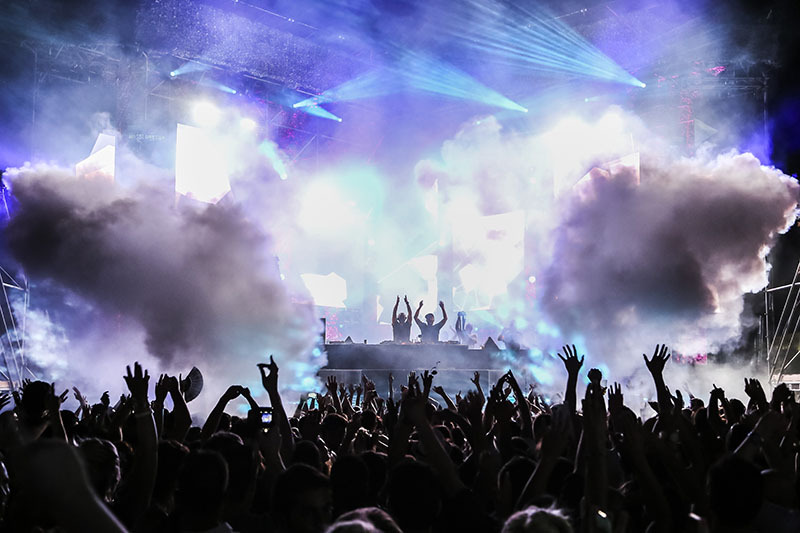 Popular Parties: Zoo Project, Holi Festival. Prices: Zoo Project parties cost in the region of 30-40€. A beer should cost around 6€, vodka limon 10€. Eden is the second superclub of San Antonio, Located metres away from its rival Es Paradis. Eden has previously been home to high profile events like Pete Tong, Gatecrasher, Godskitchen and more. Appropriating the symbol of the competition directly across the way - Es Paradis's apple - it was a signal of their intent to raise the stakes of the San Antonio clubbing scene. Prices: parties cost in the region of 25-30€. A beer should cost around 6€, vodka limon 9€. In its decade-long lifespan on the island, Ibiza Rocks has proven there is much more to this island than superstar DJs and monster clubbing, with its well known pop, rock and grime superstars to hit its stage. This branded hotel now plays home to all the Ibiza Rocks events and includes a purpose built and permanent stage set up, located within the hotel's central courtyard. The pool area has become the scene of some memorable moments during and after gigs, when the band and/or crowd have been known to take an impromptu dip. Popular parties: Ibiza Rocks, W.A.R! and the Ibiza Rocks The Boat parties. 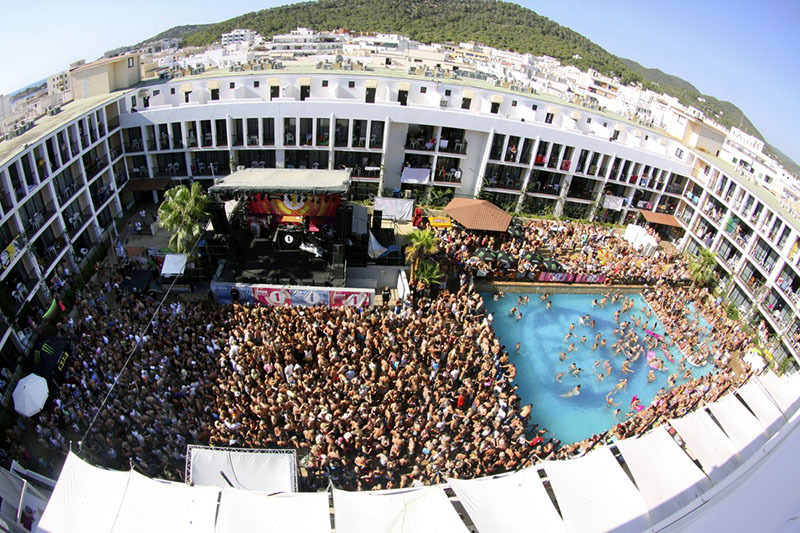 Prices: Ibiza Rocks parties at the Hotel cost around 40€ and are free for guests staying at the hotel. They operate a token system for buying drinks but they are cheap. €5 for a pint of beer or soft drink and 10€ for a vodka mixer. Created in Ibiza in 1973, this little old estate in Ibiza Town has grown into the most dominant clubbing brand in the world, with the Ibiza venue still very much the jewel in its crown. With a reputation for providing clubbing with style, it's unrivalled when it comes to adding some VIP pizzazz to proceedings, so it's the ideal venue to glam it up in glad rags. Popular Parties: F*** Me I'm Famous, Flower Power, Solomun + 1. Prices: Expect to pay from 40€ for most parties, except F*** Me I'm Famous, which will start with a higher price point. Prices increase as the island gets busier and the parties get more popular. A vodka lemon costs approx. 18€, and a beer 12€. 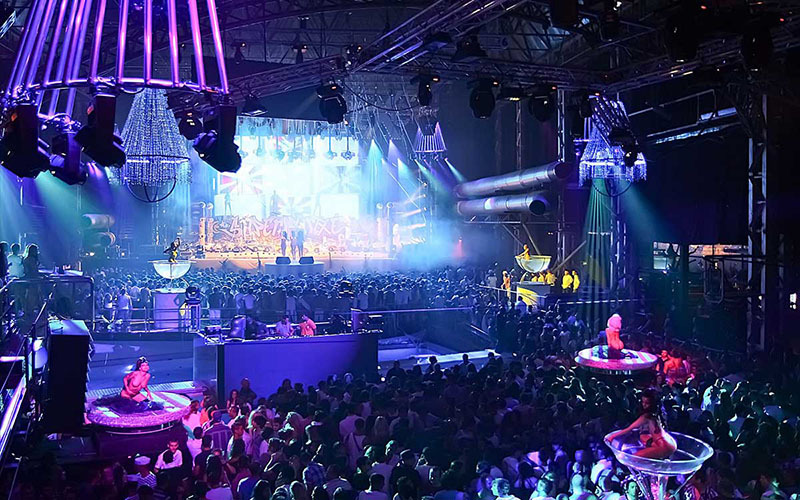 Known as the 'World's Biggest Club' is in Ibiza,the main room like an aircraft hangar, alone could fit the whole of most of the other clubs in Ibiza inside it - Privilege has become renowned for providing the extravagant and spectacular parites, like no other can. With a swimming pool at its centre and layer upon layer of different parts of the club to explore, Privilege smashes down any existing boundaries you may already have for the clubbing experience. Prices: Entry prices vary between €20 and €40. A vodka limon costs approx. €12 and a beer €10. 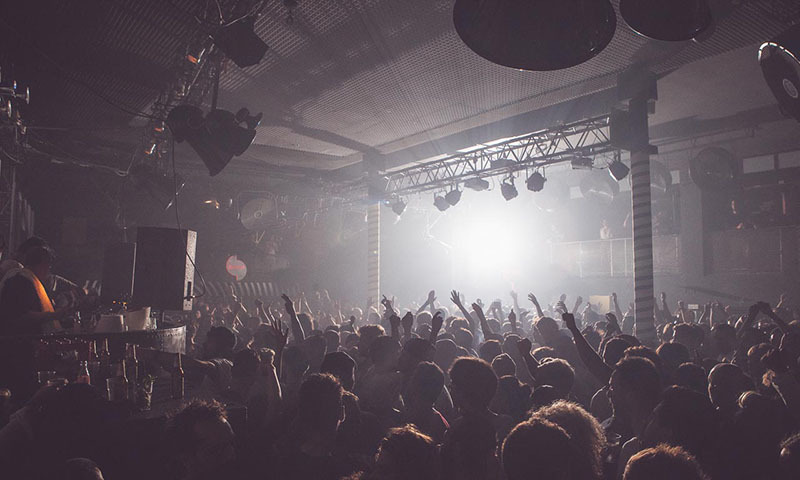 Already a recognised heavyweight in the UK clubbing landscape, Sankeys opened its Ibiza branch in 2011, quickly making a very strong name for itself as a rave haven for lovers of underground dance music. Sankeys keeps visuals and entertainment to a bare minimum, focusing on the music, so be ready to dance. Popular parties: Viva Warriors, Tribal Sessions. Price: £35-40 entry, A vodka lemon costs approx. 13€, and a beer 8€. 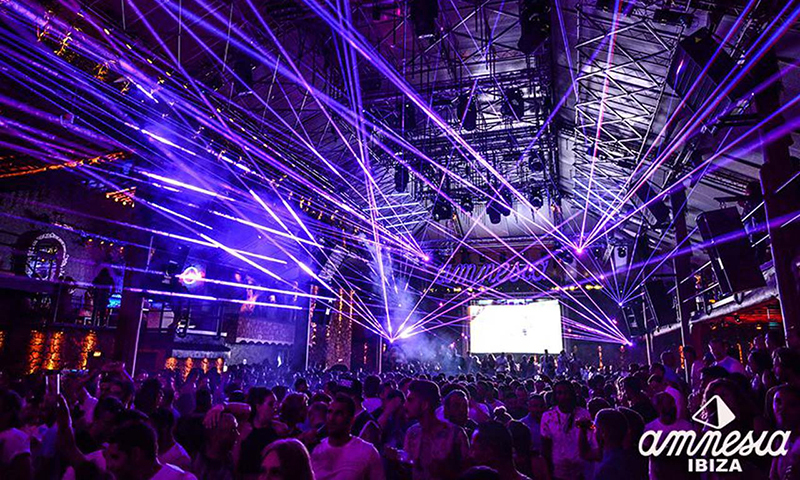 Space Ibiza is known around the world as one of the temples of electronic dance music. Unique through many of its years by offering unadulterated daytime clubbing, the Space Terrace ranks alongside the Paradise Garage and Haçienda in terms of influence and impact. 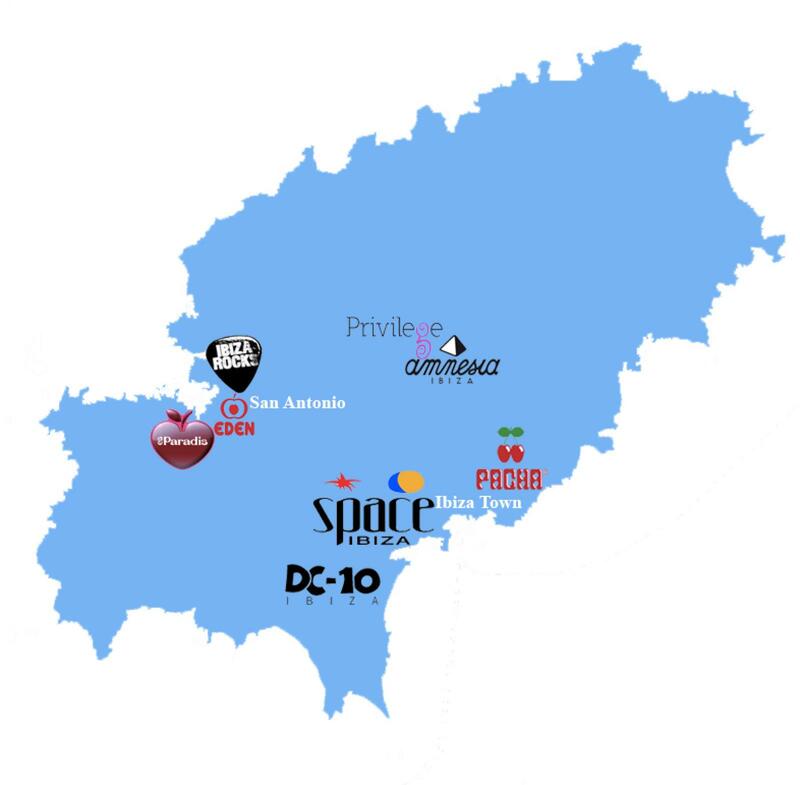 Now a sprawling and modern super club, with five different areas, Space is Ibiza power clubbing at its finest, with a particular emphasis on bringing only the best international DJs across all genres. Prices: Expect to pay from 35-50€ for parties at Space. Drinks prices are the Ibiza norm with a vodka lemon costing around 15+€ and a beer 8+€. 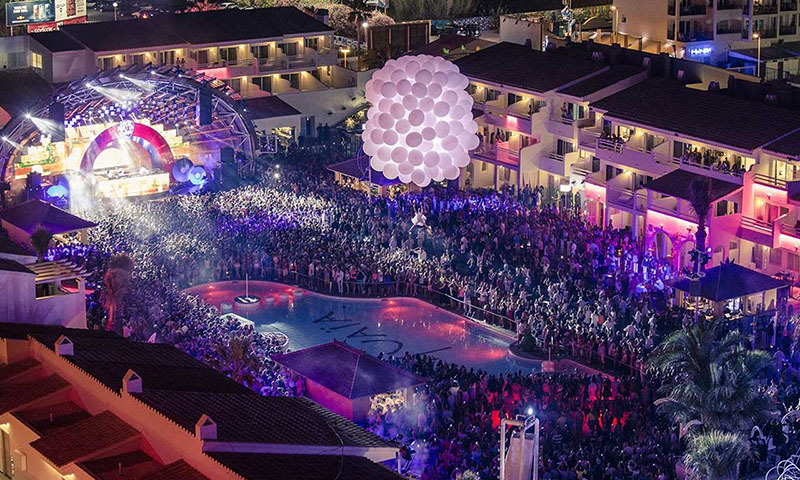 Ushuaia Ibiza Beach Hotel has been a shining star in Playa d'en Bossa since its opening in 2011. Located just opposite Space, this hotel offers stylish accommodation and an exciting events program. Ushuaïa has made a name for itself championing huge DJ names, amazing stage production, glamorous dancers and a fantastically placed VIP section; in a few short years securing its place as one of the most famous venues in Ibiza. With the exception of the opening and closing parties (which continue long into the night) Ushuaïa opens around 3-5pm in the afternoon and closes at midnight. By providing a rare opportunity to see some of the biggest headliners on the island as the sun is still setting, Ushuaïa has become an important force in returning the long-held tradition of daytime clubbing back to the island. Popular parties: David Guetta's BIG, ANTS, Hardwell and Avicii.